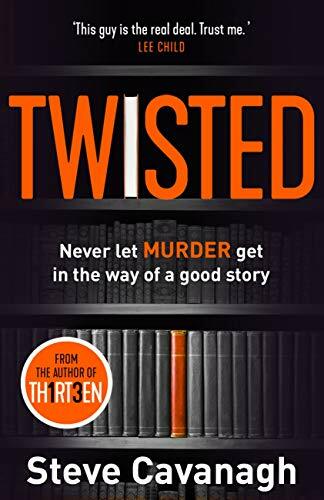 I’m delighted to be sharing my review of Twisted by Steve Cavanagh as part of the bog tour today, with thanks to Tracy Fenton for inviting me to take part. Wow, what a book. Twisted is a thrill a minute and the pace never lets up. I’ve read and enjoyed Steve Cavanagh’s Eddie Flynn series, but this is his first stand alone, so I was slightly worried that I may not enjoy it as much, but I couldn’t have been proven more wrong. And Eddie Flynn does get a mention in Twisted as well. The twists are plentiful here, once you start reading, this roller coaster of a ride won’t let you stop. What I absolutely loved about this book was that I could never be sure of the direction in which it was heading. Steve Cavanagh has created an absolutely brilliant hook about a bestselling author, J.T. LeBeau who no one, not even his publishers, knows the true identity of. You’re probably thinking that would be mad, why, if you’re selling millions of copies of your books worldwide would you not want to own up to that success? But that is what makes the brand so successful, that no one knows. And that is what creates the danger. And it really is better if I don’t tell you any more about the plot as it’s best for you to find out more on your own, it’s such a hard book to talk about without giving anything away. Twisted just pulls you into its pages. There is a lot that goes on in this book, and I think this may not appeal to some readers, but I allowed the plot just to pull me in and I absolutely loved the ride. The character of J.T. LeBeau created a fantastic mystery element, and it just kept me thinking about the characters as I was reading, especially as Steve Cavanagh threw in twist after twist. If you’re a person who likes a twist in a book and if you like plenty of action, then you definitely need to read this. I can’t wait to read more from Steve Cavanagh. If you would like to purchase Twisted you can do so by clicking on one of the following links below. 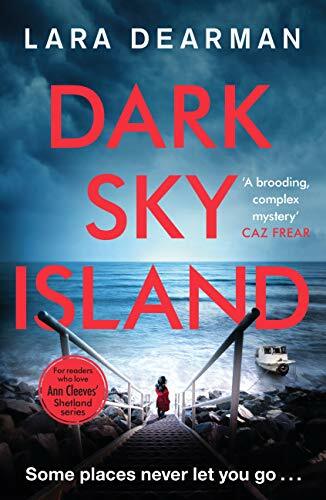 Happy Publication day to Lara Dearman, who’s latest novel, Dark Sky Island is released today. It’s been brilliant to catch up with journalist Jennifer Dorey and DCI Michael Gilbert again in the latest book from Lara Dearman, Dark Sky Island. I’ve enjoyed both books in this series, and I’m really hoping that Lara is going to write more novels featuring the characters, it will be interesting to see where she takes them next after the events which took place in the finale. There is a real emotional core to the plot which touches Jenny and really sparks her intrigue. Two years ago her father disappeared on the Island of Sark, which is located a short distance away from Guernsey and has a handful of residents. With the discovery of human remains on the Island, Jenny heads there in the hope of finding out what has happened to her father. But while the police investigate how these remains came to be there, which could potentially have been lying undiscovered for decades, another man is murdered and dark secrets about what has been happening on the island come to light. I really like the chemistry that there is between Jennifer and Michael, although you think it’s a relationship that couldn’t work there is definitely a spark between them and this comes across well in Lara’s writing. There’s an exciting mystery to follow here with the discovery of the bones in the cave on the island and the murder of a man. At the heart of all of this, there is a group of people on the island who appear to be harbouring many secrets, including a mystery figure, a multi-millionaire who bought a smaller island and built a colossal mansion which includes its own pub and needless to say there are many rumours flying around about him. There is a strong sense of place in Lara’s writing, particularly as she describes the island which gives the place a chilling and mysterious feeling. There is a real sense here that they are cut off from the mainland and that anything could happen. I felt I could never make my mind up about any of the residents, and I was kept gripped as I tried to work out which of them had been involved in the crimes which had been uncovered. Lara certainly doesn’t make it easy for the reader to work out what it is that has gone on, and I was fascinated by how everything was unravelled towards the end which was done in a really clever way. Again Lara touches on the myth and legends that many people talk about in Guernsey and Sark, which I remember being absolutely fascinated by in her last book and they really help in bringing the location and the people to life. This is another exciting read from Lara Dearman. If you love atmospheric crime fiction, then you should definitely pick this book up and the first book as well which is just as brilliant. If you would like to purchase Dark Sky Island, you can do so by clicking on one of the following links below. Today I’m sharing my thoughts on Scrublands by Chris Hammer, with thanks to Caitlin Raynor at Headline who sent me a copy to review. A year later, journalist Martin Scarsden arrives in Riversend to write a feature on the anniversary of the tragedy. But the stories he hears from the locals don’t fit with the accepted version of events. Just as Martin believes he is making headway, a shocking discovery rocks the town. The bodies of two backpackers – missing since the time of the massacre – are found in the scrublands. The media descends on Riversend and Martin is the one in the spotlight. Wrestling with his own demons, Martin finds himself risking everything to uncover a truth that becomes more complex with every twist. But there are powerful forces determined to stop him, and he has no idea how far they will go to make sure the town’s secrets stay buried. 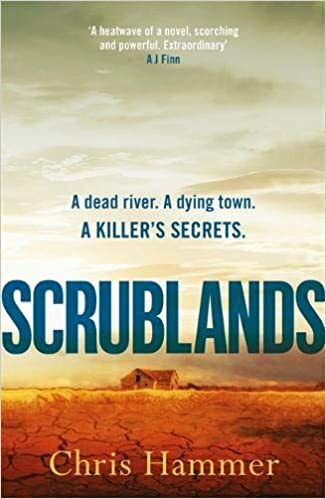 Scrublands is a really immersive read; set a year after a horrific crime took place in Riversend, Australia, when a young priest shot and killed five individuals. For the first anniversary, journalist Martin Scarsden heads there to report on how the locals are coping one year on from the tragedy. But he has no idea how big of an impact this job will have on the rest of his career and how close to danger he’ll come. I really enjoyed this one. Chris Hammer captures the dusty terrain of the Australian outback and just how isolated the town of Riversend is, compared to the big cities of Sydney and Melbourne which attract most tourists. This is a community which very much looks after its own, and they don’t take too kindly to outsiders which Martin is quick to become aware of, although he is quick to form a relationship with the owner of the local bookshop, Mandalay. The story is hugely entertaining. As Martin attempts to get the bottom of just why the police decided to kill so many people, the bodies of two German backpackers are found nearby; these two tourists went missing at around the same time the incident he is reporting on took place. Now the police are desperate to find out what happened to them and who was responsible for their murders. I really wanted to get to the bottom of what was going on in this town. The novel itself is quite long, but Chris’s writing made the book feel like a very quick read. I was quickly pulled into the story and Chris’s description of the town really made me feel as though I was there. Martin was a really engaging character, and I kept thinking about the danger that seemed to be around him all the time while he was in Riversend researching the crime that took place. There were so many unanswered questions about the priest and conflicting reports about him from the locals. This made this book so interesting; it seemed that right from the start there was something much bigger to this case than what first meets the eye. Scrublands has put Chris Hammer’s name firmly on my radar, and I’ll definitely be looking out for more books by him in the future. This is a crime novel with real depth which races along at a quick pace and plants you firmly within the setting. Overall, a terrific read. If you would like to purchase Scrublands you can do so by clicking on one of the following links below. 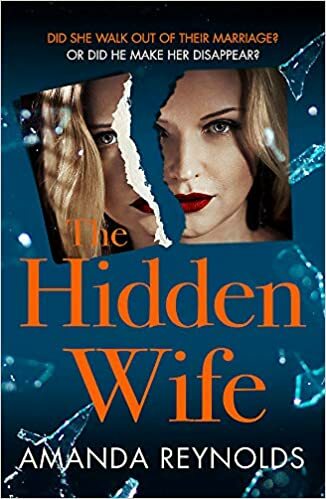 The Hidden Wife is another twisty and a cleverly crafted psychological thriller from Amanda Reynolds, who is going from strength to strength. I really enjoyed her latest book which delves into the disappearance of the wife of a celebrity author, Max Blake, who still falls under the suspicion of the press and the police, even though no hard evidence has been found against him. Seren, a journalist with the local Herald, has the opportunity to interview him, and this is a big deal for the local paper which Seren starts to feel the pressure of. Can she get to the bottom of what happened to his wife, Julia? All the time while I was reading this, I had this uncomfortable feeling that something was going to happen to Seren as she got closer and closer to Max as she peered into his life. Max was a character who I could never quite make my mind up about, and I thought that Amanda played this quite well. I could never be quite sure what had happened to his wife Julia and if he was involved in the disappearance or not. I did try and work it out along the way, but I didn’t have much success until quite close to the end when the events surrounding Julia’s disappearance started to become clearer. This was cleverly plotted, and I liked how all the strands pulled together as the novel drew towards its conclusion. There was a bombshell moment towards the end which just left me desperate to find out what was really going on; I just had to ignore everything else and read to the last page right away, and it made for a very exciting finale as the final secrets were revealed. It did make me realise where Amanda was heading with this all along, and it was done very well. As well as wanting to get to the bottom of what had happened to Julia and her relationship with Max, I thought that Seren also had a very interesting backstory as well. I’m still thinking about what is happening in her life after finishing the book as there is part of her story which I’m sure will leave readers with questions. It’s not directly linked to the main plot, but there is definitely enough intrigue here for me to want to find out more about her. I’m wondering if Amanda has any plans to return to Seren at some point in the future. This is another excellent read from Amanda that I definitely recommend. It will keep you guessing right the way through. Hugely enjoyable. If you would like to purchase The Hidden Wife, you can do so by clicking on one of the following links below. I finally got round to reading Silent Victim by Caroline Mitchell a few weeks ago, which is also the first book I have read by her. Now I can see what I have been missing out on. Caroline is an excellent writer and I can’t wait to read more of her work. I’ve always had Caroline Mitchell’s books on my radar, but it’s only now that I’ve finally got round to reading one. 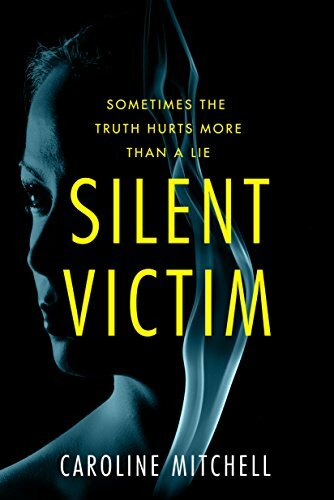 Silent Victim is a stand-alone psychological thriller, so if you’re new to Caroline’s books as well, this is probably a good place to start. This is a dark, dark, twisty book that held me captivated right from the first page. Caroline’s opening prologue raises lots of questions about our main character, Emma who makes a startling confession right on page one. The set-up here is absolutely brilliant, and I immediately wanted to get to the bottom of what it was that she had done and it compelled me to read on to find out more. It made for such a gripping opening and from here on in it gets twisty and so much darker. We then learn that Emma and her husband Alex are leaving their country home in Essex for Leeds. Emma can’t wait to see the back of the place, but why? What is it about her home that haunts her so much? What secrets is she keeping? Caroline weaves a very clever tale here that delivers so many surprising twists, it is definitely just-a-one-more-chapter kind of read, when you are so desperate to find out the answers. It’s so hard to talk about the plot of this book without giving any details away. I think what captivated me the most was finding out more about Emma’s earlier life which Caroline takes us back to as we begin to learn what took place, which then subsequently leads to the events which are happening in the present. There are some bombshell moments throughout the book which kept me thinking about the direction the story was going to take next. Caroline is very good at her twists. The tension throughout the book is spot on. All the way through, I felt concerned for Emma as she battled with the demons from her past. But I could also never quite make up my mind about her, could I trust her? I was thinking about this more and more when further details about her life were revealed. I’m now definitely going to be catching up on Caroline’s previous books, and I have a few of them on my kindle library already. I thoroughly enjoyed my first Caroline Mitchell book, and I can’t wait to read more from her. If you would like to purchase Silent Victim, you can do so by clicking on the following link below. 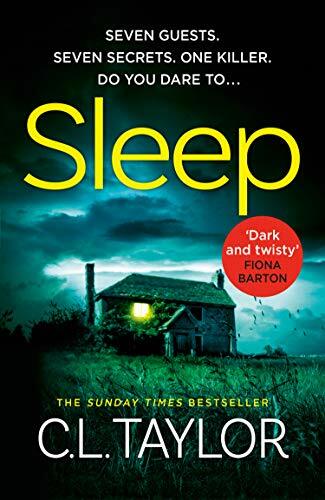 I’m delighted to be kicking off the blog tour for Sleep by C.L. Taylor today on my blog, I’ve been a fan of her novels for a while now, but this one I think, is her best yet. Sleep is my favourite book yet by C.L. Taylor. It’s a dark, claustrophobic read that will keep you gripped right from the first page. C.L. Taylor always manages to hook me very early on in her novels, and she manages tension so well. The end of each chapter always leaves me wanting more. The novel opens as a horrific car accident takes place, taking the lives of two people and severely injuring another. Anna is the person who was at the wheel of the car involved in the accident. She is haunted by the deaths of her colleagues who were in the car with her and blames herself. Desperate for a fresh start, Anna relocates to a remote Scottish island. But someone is keen to make sure Anna hasn’t forgotten what she’s done, and they are eager to make sure that she pays for her role in her colleague’s deaths. The claustrophobic setting of the hotel on the Scottish island, where Anna starts a new job made this book a real winner for me. There was a growing sense of alarm and danger, especially as they realised they were beginning to run out of food. The group of guests all have their own, well-crafted backstories and as Anna started to believe that she was being targeted, I didn’t know who I could trust. C.L. Taylor created a splendid locked room mystery, and she brought to life a truly isolated setting, especially when the storm struck leaving the guests and Anna stranded in the hotel. This is an absolutely must-read for fans of psychological thrillers. I remember how chilling I found the ending of C.L. Taylor’s last book and she delivers another brilliant one here, after finishing it I’m still thinking about the characters and what they’re all getting up to. And I think I’m going to be thinking about them for a while. A top read from C.L. Taylor. I was never sure how this book was going to pan out, and the tension kept me glued to the pages. Thank you to Sabah Khan at Avon Books for the invitation to join the blog tour and for sending me a copy of the book to review. If you would like to purchase Sleep, you can do so by clicking on one of the following links below. 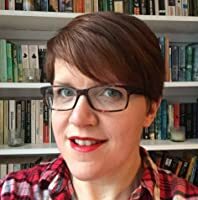 I’m absolutely delighted to be sharing my thoughts on Fiona Cummins brilliant new crime novel The Neighbour on my blog today. On a hot July day, Garrick and Olivia Lockwood and their two children move into 25 The Avenue looking for a fresh start. They arrive in the midst of a media frenzy: they’d heard about the local murders in the press, but Garrick was certain the killer would be caught and it would all be over in no time. Besides, they’d got the house at a steal and he was convinced he could flip it for a fortune. I absolutely loved this one. 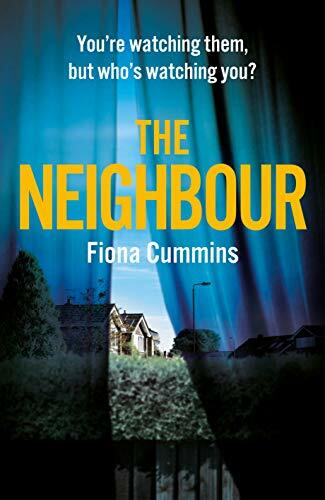 Having been a fan of Fiona Cummins’ first two novels, I was more than intrigued to see what she would write next, and the answer is The Neighbour which is a crime novel of pure brilliance. Fiona’s writing makes her books exactly the type of read you could race through in one sitting. Genuinely chilling and with short, snappy chapters that will have you itching to read the next, this is top-rate crime fiction. Fiona develops her characters so, so well. We have the Lockwood’s who have just moved into The Avenue and the creepy neighbours who will have you examining and thinking about each and every one of them. I had so many suspicions about all of them, and I loved how Fiona led me down several different paths and how she then thwarted my thoughts at the end as the final truths were revealed, and this was done so very brilliantly. There is such a creepy premise to this book that will have you looking at your own neighbours with suspicion, perhaps, depending on how well you get on with them I suppose and how well you know them. We hear from the killer’s thoughts throughout the book, and there were some lines in these scenes that did give me chills. The characters will also have you thinking just what lengths will you go to protect your loved ones, especially from the secrets you hide. You will see what I mean when I say that this is a genuinely chilling read. The Neighbour is a novel I did not want to put down. The only problem I have now is that I have to wait a while for Fiona’s next book. This is very much a character-driven crime novel, and they will all stay in your mind for a while after you read it. This definitely comes highly recommended from me. If you would like to purchase The Neighbour you can do so by clicking on one of the following links below. On my blog today I’m sharing a guest post from author Stewart Giles about his new crime thriller, Miranda as part of the blog tour. Miranda is a ruthless killer, yet I still believe one can still feel some sympathy for her. We never really know whether to side with her or not and I think that’s what makes the book different. She’s also a bit of an enigma, in that we never really understand what turned her into what she became. She’s a highly intelligent, if somewhat devious woman, but she also shows moments of extreme empathy towards those who have been wronged. Detective Inspector Patricia Keene is not unlike Miranda in many ways. Driven and determined, she refuses to stop until she’s found out the truth. Her team respect and admire her, and she will never ask anything of anybody she’s not willing to do herself. She’s totally dedicated to her work, and I believe if the circumstances were different, Keene and Miranda could actually become good friends. My aim with Miranda was to create a scenario where there are actually two protagonists and you are never really sure which one you ought to root for. Thank you to Jill at Books n All Book Promotions for inviting me to take part in the blog tour and to Stewart for taking the time to write a guest post. If you would like to purchase Miranda, you can do so by clicking on the following link below. 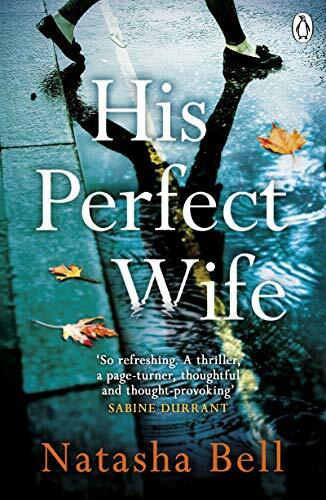 I’m delighted to be sharing my review of His Perfect Wife by Natasha Bell on my blog today. This book was previously titled Exhibit Alexandra. His Perfect Wife by Natasha Bell is an utterly immersive novel that thinks outside the psychological thriller box. This was a pacy, quick read and I loved the style in which it was told which I thought made it feel very different to what I have read recently in this genre. There are some very intriguing aspects to this story. In the set-up, we have the disappearance of Marc’s wife, Alex and we can see that he can’t bring himself to even comprehend what has happened, especially when the police begin to believe that Alex is dead. But the story is told partly from her perspective, as though she is looking in on her husband’s life in the aftermath of her going missing. I thought this was very unusual and it made this book feel very different. I found the plot of this book to be very unpredictable, and I never could quite see where the story was heading. I had so many thoughts and different scenarios going around inside my head as to what could have happened to Alex, and it does take a very twisty turn which will have you thinking about what you have missed, and how Natasha has cleverly placed all of her clues throughout the book. I’m not going to talk any more about the plot as I don’t want to spoil the story as it is very difficult to talk about without giving anything away. Natasha also takes us back to the time when Marc and Alex first got together and it was fascinating to see their relationship develop. This is a thriller that will keep you thinking all the way through about what really is going on here and Natasha’s writing makes it a very addictive read. There are lots of secrets to be uncovered and nothing is as it seems. His Perfect Wife is a really well written and a compulsive read that will keep you hooked. Thank you to Sriya at Michael Joseph for inviting me to take part in the blog tour and for sending me a copy of the book. If you would like to purchase His Perfect Wife, you can do so by clicking on one of the following links below. 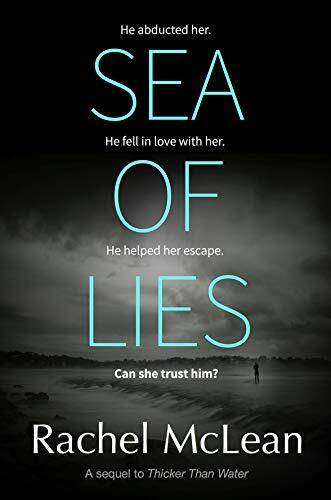 I’m delighted to be bringing you a spotlight post today for Sea of Lies by Rachel McLean, her latest thriller which is a standalone sequel to her previous novel, which was also released this month, Thicker Than Water. If you would like to purchase Sea of Lies, you can do so by clicking on the following link below.